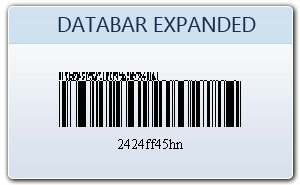 Data bar expended barcode is types of 2D barcode symbology that encodes fixed amount of data. 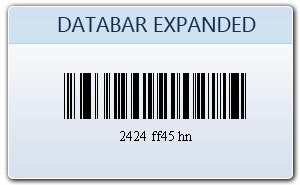 Databar-expended barcode (also known as RSS expended) can encode data in two modes which are Expended and Expended Stacked mode. With our advance barcode designer software you can easily create all type of linear and two dimensional barcode stickers, labels and tags in your own style. 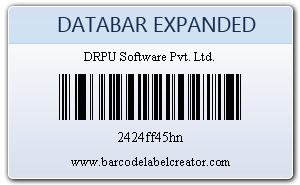 Barcode generator software generates bulk number of barcodes instantly whenever requires.